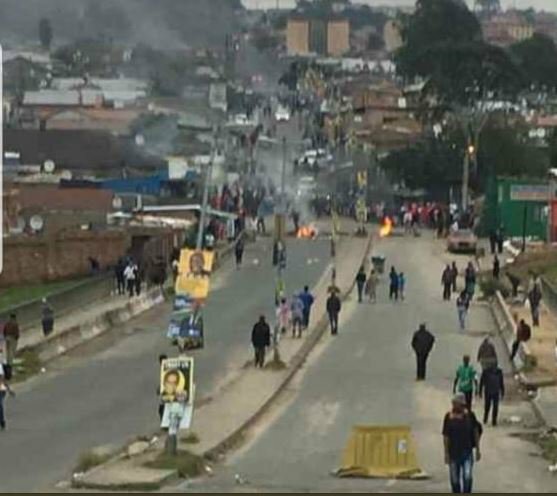 The Alexandra Total Shutdown Movement has urged residents to attend Johannesburg Mayor Herman Mashaba’s address on Monday in their droves. Mashaba is set to visit the embattled township today, two weeks after residents took to the streets to demand an end to the building of illegal structures and a lack of service delivery. One of the movement’s organisers Sandile Mavundla says they are ready. "We encourage our community to come in numbers although the venue is going to be too small to accommodate all of us in Alexandra, but even though we think that the mayor will have maybe mass audio that able to be listened by all of us in Alexandra when we are there at Malboro Hall." Last week the mayor was not present to address the crowd and the protest soon escalated, calling for President Cyril Ramaphosa to address their concerns. During the address, Ramaphosa expressed his dissatisfaction at Mashaba's no-show. Community organiser Thandiwe Mthombeni shares the president’s sentiments. "We understand his programme about the future and then but we have outstanding matters that we need to deal with. The residents are very angry, like I don't know what exactly is going to happen there but everybody is not happy with his response for not coming to Alex to sort out... to deal with the matters that are on hand." Mthombeni adds she only hopes that they will be able to give Mashaba the memorandum. Speaking to Jacaranda FM News last week, Mashaba said he will go and address the community of Alexandra on Monday, as this forms part of the metro's Integrated Development Plan (IDP) session. "The IDP budget engagement is something that I have to really do, engage the community based on what I can deliver and what I cannot."